French-born Cusset’s first novel written in English: suspenseful, interesting, and challenging, but ultimately unsatisfying. 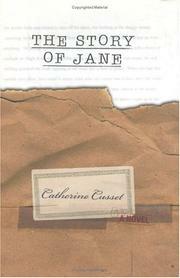 Jane, a young French professor at a prestigious university not unlike Yale (where Cusset teaches French), finds a package on her doorstep that turns out to be a novel detailing her adult life, marriage, and numerous affairs. This book-within-a-book is presented in its entirety, interspersed with scenes of Jane’s mounting anxiety as she tries to puzzle out who could have assembled the information to write such a novel, and why. Was it Bronzino, the manipulative department head with whom she had a brief affair? Writer/editor Josh, her college boyfriend? Ex-husband Eric, for whom she still carries a torch? Francisco, her close friend in the Spanish department? Alex or Allison, to whom she has spilled her guts, respectively, in e-mail and in person? Or was it some other mysterious, sinister, and obsessive person? Unfortunately, the central tension is quickly dissipated as the reader comes to realize that nobody could have written the novel but an omniscient narrator with access to virtually every detail and feeling in this woman’s life down to the exact words she spoke. (As she reads, Jane occasionally quibbles with a feeling attributed to her, but with one exception she never questions the smallest fact or a word of dialogue.) And a lot of fancy footwork can’t disguise the fact that this is an ordinary story of a young woman, her failed marriage, and a string of affairs, related in workmanlike but undistinguished prose. Cusset asks us to believe that an extremely detailed and accurate book could be written about the life of a noncelebrity by any one of a half dozen friends and acquaintances. Perhaps such a premise can be realized successfully in fiction, but not this time out.